INTEGRITY (LIM JING MO FUNG YIN MOK)'s director Alan Mak Siu Fai earlier flew to Taiwan for a two day whirlwind promotional tour, many interviews and attend the screenwriter workshop forum to share his motivation for making this flm and behind the scene secrets. "Ching Wan may be taking real life emotions that he cannot release toward his wife and release them in the film!" Director Mak asked Sean Lau Ching Wan and Karena Lam Ka Yun to play a feuding couple that both worked at the ICAC. "This relationship is quite special. Ching Wan told me, 'I am willing to play this role because I feel like he is a very despicable person.' Actually the Ching Wan played King was very smart, very agile, but truly a little despicable. For example in his relationship with Lam Ka Yun he appeared to be very despicable. I jokingly said, Ching Wan might be releasing the emotions that he could not release toward his wife in real life in the film." Rarely guest starring, Best Actress Anita Yuen Wing Yi was willing to make a special performance. Director Mak unveiled a connection that few knew about between him and Len Len. "Yuen Wing Yi's father calls my mother cousin, Yuen Wing Yi can be considered my cousin. When she was little her personality was very different from it is now. When she was 7 or 8 she was very good to my mother and called her 'god mother'. When she came to my home at age 18, she suddenly became very pretty. Mama said, 'How can you not remember, when she was little she often fought with me!' I said, 'I didn't hit her, she was hitting me!' Actually at the time we were just playing, she wasn't really hitting!" Speaking of him and Len Len both entering the business, when he was the assistant director on the film THE GOLDEN GIRLS (SHAN SHUI YAU SEUNG FUNG) Len Len and Ching Wan were the leads. 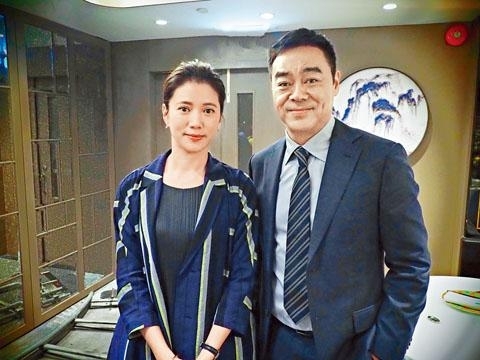 Mak Su Fai revealed that Len Len back then told him on the set, "If you smoke I will tell your Mommy; if you swear, I will also tell your Mommy!" Mak Siu Fai initially felt bad about inviting Len Len to play her role in INTEGRITY, but because of Ching Wan he thought of her. In addition she was very suitable to play this character. After three days she replied that she would perform.